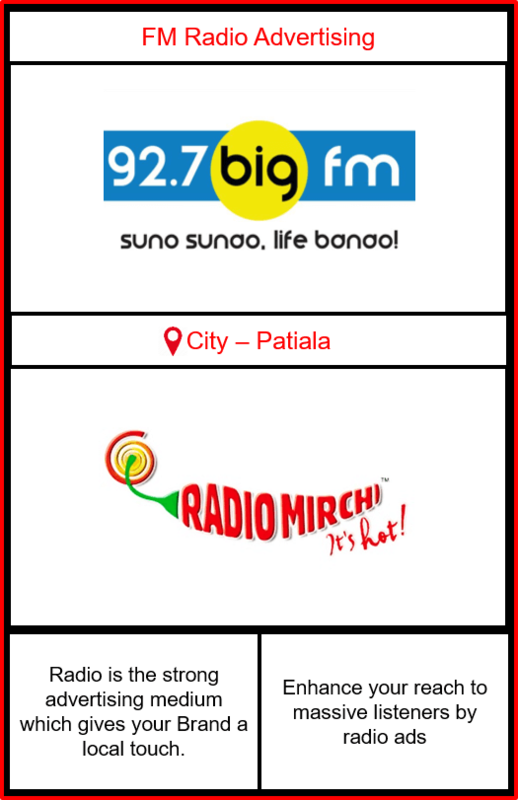 Patiala witness 2 Prominent Fm Radio Stations which holds great significance when it comes to entertaining the people of Patiala. Know more about them below! Why Radio Advertising in Patiala? Patiala is the 4th Largest City in the state of Punjab and also is the administrative capital of the Patiala District. 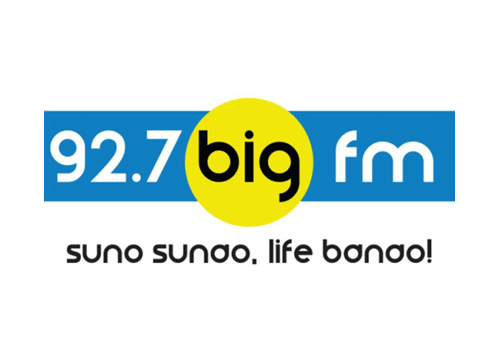 Radio Ads, a traditional source of advertising is considered to be one of the best ways to target the massive local crowd of Patiala. Radio advertisement in Patiala not only targets the local residents but also nearby cities & towns up to a radius of 50 Kms. from Patiala. The cities which are covered by Patiala Radio FM Channels are many but not limited to Patiala, Fatehgarh Sahib, Rajpura, Ambala (Haryana), Kaithal (Haryana), Mandi Gobindgarh, Samana, Sangrur (Partial), Sirhind, Nabha. Hence, FM Radio advertising in Patiala is the proven way to enhance your Brand Equity and generate huge ROI for your Brand. The medium if accompanied by Creative Radio ads serves as the cherry on the cake & helps generate a huge brand recall amongst your brand’s best target audience.